Saying hello, giving your full attention, expressing appreciation – in a respectful workplace, everyone is courteous and considerate in their interactions with each other, as well as with customers, clients and the public. A civil and respectful workplace is related to many positives, including greater job satisfaction, improved morale, enhanced relationships, and reduced sick leave and turnover. In a stressful, frustrating or toxic work environment, politeness and support can give way to resentment, rudeness, and even bullying and harassment. 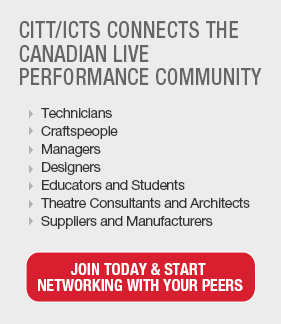 There are many actions that employers can take to champion and prioritize workplace civility. 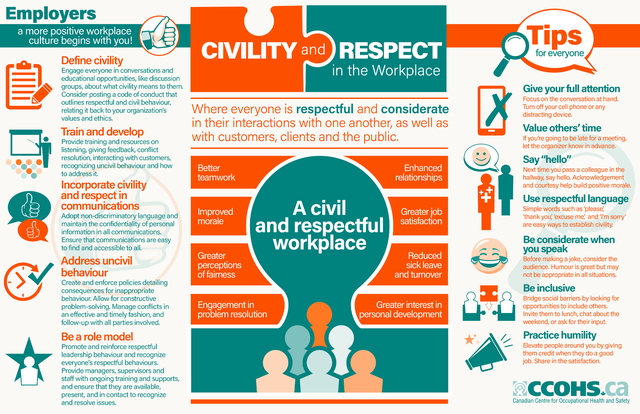 Share this infographic that explains how civility and respect is related to a more positive workplace culture, what employers can do to promote respectful behaviours, and small, everyday acts that can help workers feel safe, comfortable and valued at work.